About Us — Bender and Rocap: Tutoring Indianapolis, Carmel, and Fishers! Barb and Joan started Bender and Rocap Educational Services in 2005 as teachers for Roncalli's SAT test prep, and as tutors for SAT and ACT test prep, high school math, English, and study skills. Initially, they were the only tutors for the business but have now grown Bender and Rocap into a business with over thirty tutors with a wide range of teaching and tutoring experience. Barbara Bender grew up in Lafayette, Indiana, and attended Lafayette Jefferson High School. She graduated from I.U.P.U.I. after she and her husband moved to Indianapolis before her senior year of college. After serving as the English Resource Teacher at J. Everett Light Career Center for three years, she started a family and taught English at I.U.P.U.I for four years, earning her Masters’ degree while she was there. Barb taught at Brebeuf Jesuit Preparatory School from 1986-2004, serving as English Department Chair for the last ten years. Barb tutors all levels of middle school through high school English, including AP Language and AP Literature. Joan Rocap grew up in Indianapolis. She received her mathematics undergraduate degree from the University of Notre Dame and her Masters in Teaching from Northwestern University. 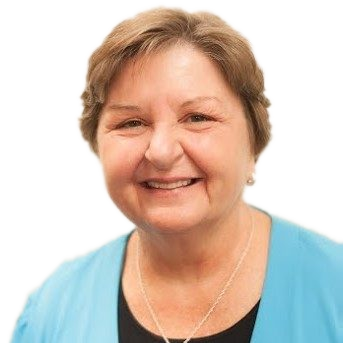 After teaching for one year in the suburbs of Chicago she was hired to teach math at Brebeuf Preparatory School (later the name was changed to Brebeuf Jesuit Preparatory School) in 1979. During her 23 years at Brebeuf she served as classroom teacher and math department chair. Although Joan does not tutor AP Statistics, she tutors all other levels of high school, middle school, and introductory college level math courses.